Logitech Ultimate Ears BOOM is a top class wireless Bluetooth mini speaker that is able to give great sound experience because of the 360-degree design. It is compatible to connect with your Android or other operating systems. 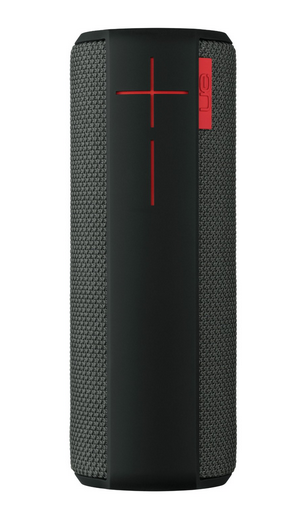 UE BOOM is designed in a great 360-degree shape that carries the sound in all directions. You can bring it everywhere and clip almost to anything because of the D-ring. UE BOOM has the dimensions of 2.72 inches X 2.72 inches X 7.09 inches (6.9 cm x 6.9 cm x 18 cm) which means it is medium sized speaker in the market and perfect for carrying around. The weight of this device is 1.22 pounds (553.38 g). That means it is light and does not add any big weight for any carriage. UE BOOM is available in many different colors. Speaker has very modern look and may be attractive to young people. The body of this speaker is covered with advanced water and stain resistant acoustic skin so you can use it without worrying that the speaker might get dirty or wet. Removable rubber cover protects USB/AUX cords. At the top of the speaker you can find power and Bluetooth pairing buttons. On the side of the speaker there is a durable rubber spine with volume controls. 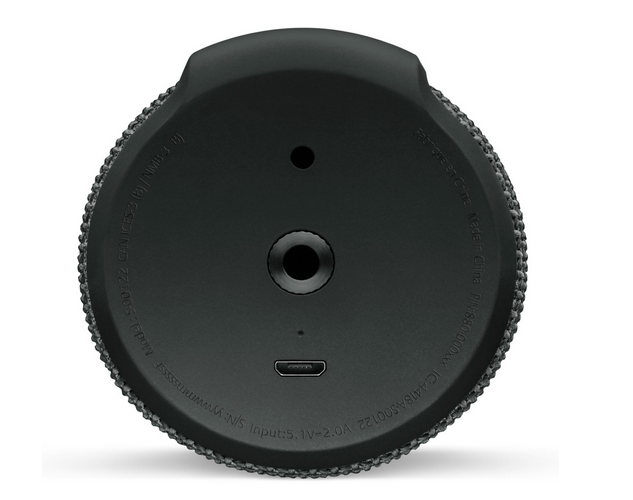 At the bottom of speaker there is Micro-USB charging port, 3.5 mm AUX and the removable D-ring with ¼ – 20 tripod mount. Maximum sound level of this device is 88 dBA and it has a frequency range from 90 Hz to 20 kHz. BOOM is much louder than any other wireless speakers in this category and the sound is very clear. Everything of that is possible because of the two 1.5″, 4 Ohm Drivers and two 2″ Passive Radiators. Sound quality when it is plugged in to power outlet makes no difference when it runs on a battery. If you pair up these speakers with the help of UE BOOM app, it can make a great stereo for household or parties. The speaker is powered either by AC power adapter or rechargeable lithium-ion battery that has up to 15 hours of battery life between charges (full charge time is 3.4 hours). It means a whole day with music. Of course it may not last 15 hours if you listen to music on max volume, but the battery life provide great experience when you take UE BOOM for trips. Bluetooth – You can pair up to 8 Bluetooth enabled source devices and connect up to two at the same time. BOOM is compatible with smartphones, tablets and any other devices that support A2DP. It is also compatible with phones that support Bluetooth hands-free Profile (HFP1.5). NFC – It is easy to pair with NFC enabled devices. You just have to tap the speaker tag at the same time with phone tag and the connection will be made. 3.5 mm AUX – the 3.5 mm audio jack is for Bluetooth-less devices. You can have a great experience with wired connections and a bit better sound. There is a large range of accessories for this wireless speaker. Most common are cases for storage and carrying. You can choose between leather or hard-shell cases. Another accessory is 3.5 mm audio cable so you can connect with devices without wireless connection. 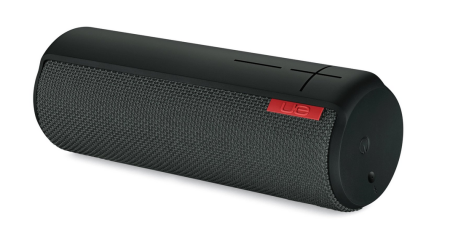 Overall UE BOOM speaker is a very powerful and astonishingly designed electronic device. It may seem to be expensive, but the quality of device is outstanding and it is one of the best out there. © 2019 DOCKINGSTATIONHQ.COM. All rights reserved.